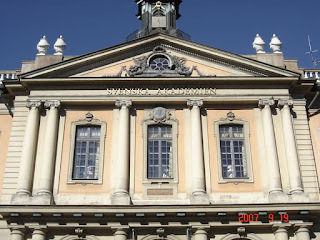 The Swedish Academy (here) revisited. Membership is for life. The female element has been limited, to quote the Academy's web page. All in all, seven women have been admitted since 1786.